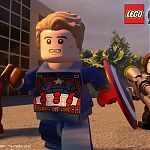 LEGO: Marvel Avengers is the latest release from TT Games’ ever popular series of LEGO games, focussing on licenced products, and as always is published by Warner Bros Interactive Entertainment. 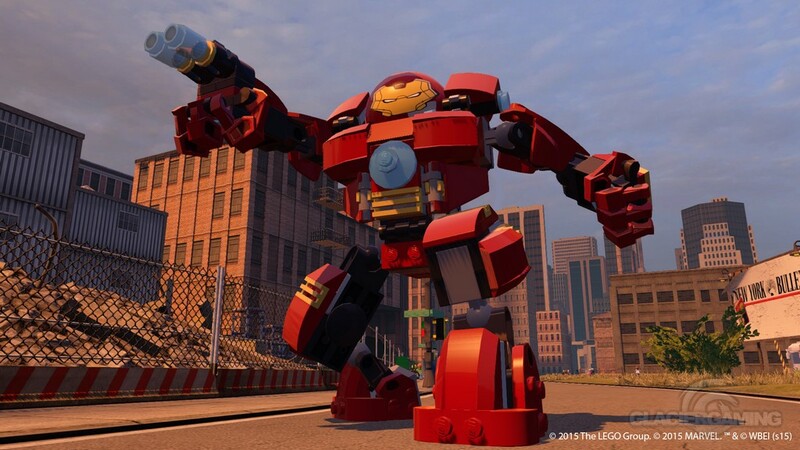 Anyone who’s played a LEGO franchise game before will know what to expect – Taking control of a small group of heroes to run around collecting LEGO studs, smashing everything that isn’t nailed down to smithereens, solving simple puzzles and inevitably saving the day. In a nutshell good, wholesome fun that the whole family can play – just like the toys they’re based on. 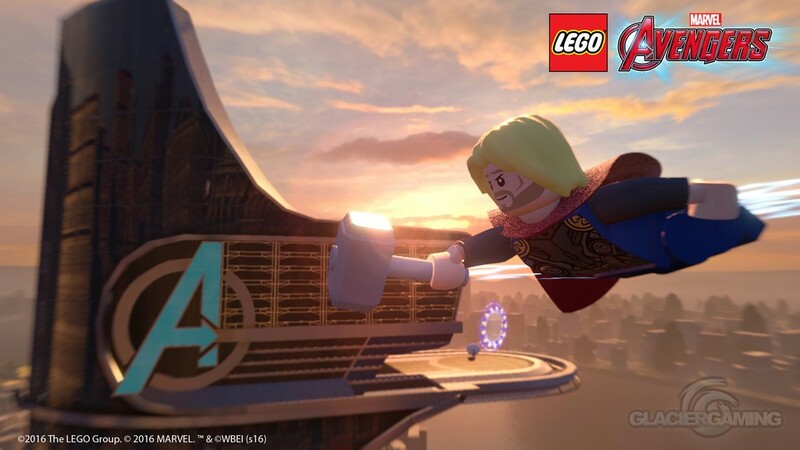 The great thing about the franchise is that if you haven’t picked up a LEGO game in a while, it feels instantly familiar – the button layout remains the same after all these years. 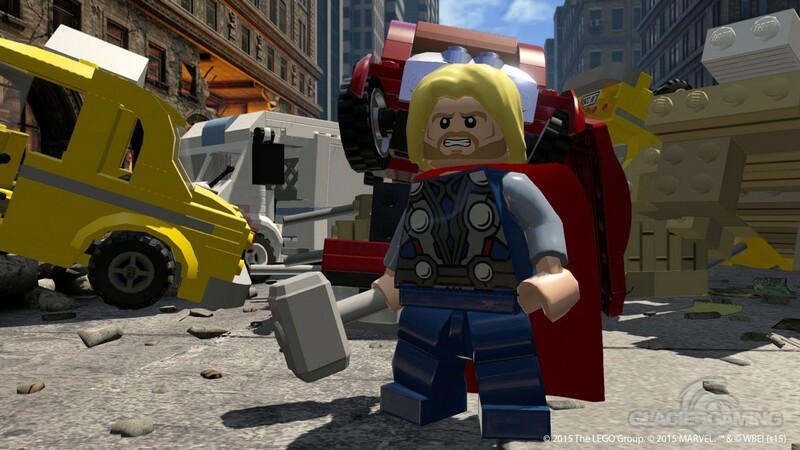 The last LEGO game I picked up was 2013’s Marvel Superheroes (before that Harry Potter Years 1-4, Indiana Jones: The Original Adventures and Star Wars: The Complete Saga on my previous generation console), and I intuitively knew which button did what, and what I should do next to progress through the game. 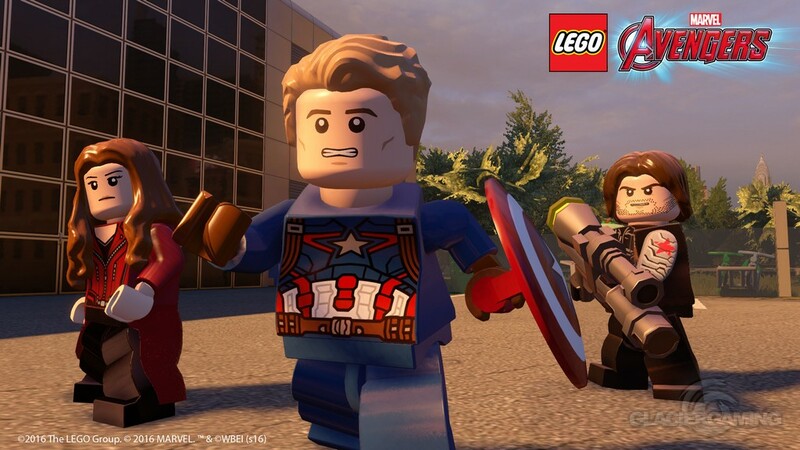 LEGO: Marvel Avengers is based on Marvel Studios’ more recent movies; specifically a large chunk of their “Phase 2” instalments – Captain America: The First Avenger, Avengers Assemble, Thor: The Dark World, Iron Man 3, Captain America: The Winter Soldier and Avengers: Age Of Ultron. 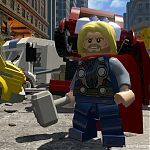 Locations in the game include Asgard, Sokovia, South Africa, Malibu (basically every location from the series of movies). 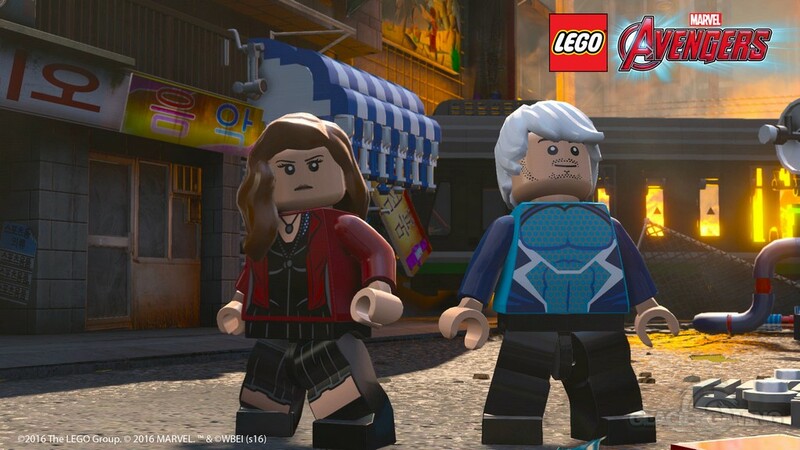 The game also boasts a HUUUUGE roster of unlockable characters, with over 100 that have never appeared in a LEGO game before! 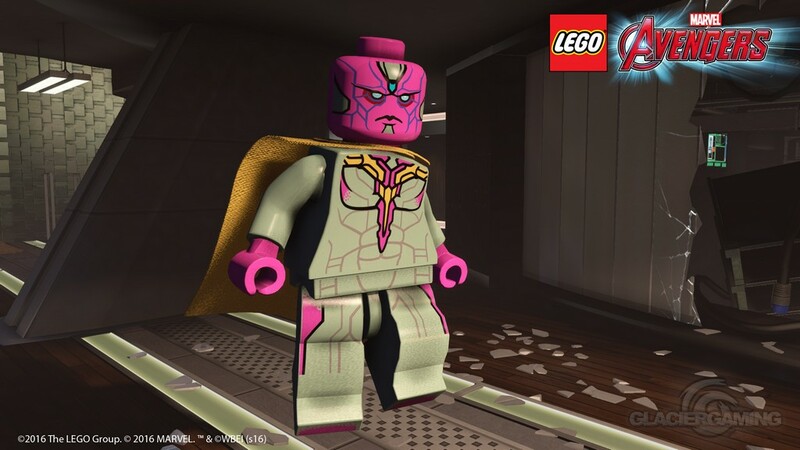 The storyline did initially confuse me, as it starts with The Avengers’ assault on Baron Wolfgang von Strucker’s Hydra outpost in Sokovia from Age Of Ultron. The plots of the movies are then intertwined; after completing the initial chapter, the next cut scene was from Avengers Assemble, followed by a dash of Thor: The Dark World and Captain America: The First Avenger, before flipping back to Avengers Assemble. Luckily I’ve watched the majority of the movies (so I could keep up), but it did throw me a little. Personally, I thought Avengers Assemble would’ve been a more logical place to start, followed by the individual movies, then ending with Age Of Ultron. 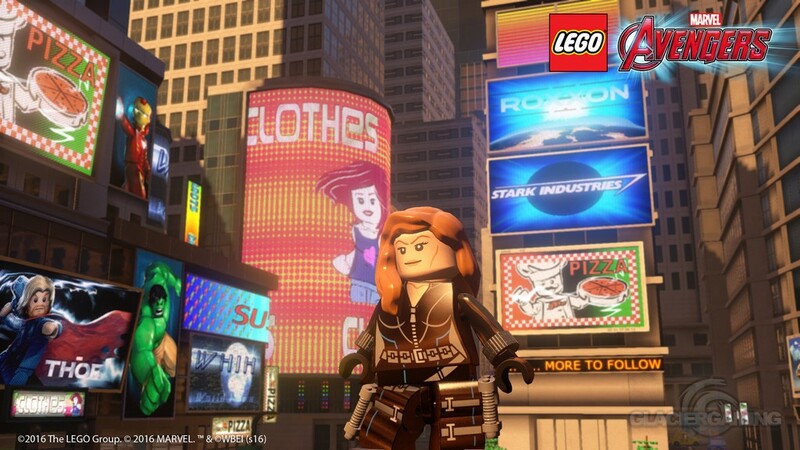 After all, that’s what previous LEGO games that I’ve played have done. 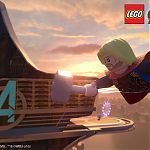 For anyone that’s new to the LEGO franchise, Avenger logos dotted around the area offer hints and tips when bashed by your character – with voice over from S.H.I.E.L.D’s Maria Hill or Agent Coulson. 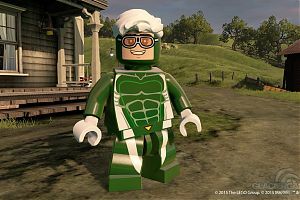 These give advice on which superheroes can interact with certain object, and are also pretty handy if it’s been a while since you last played a LEGO game. 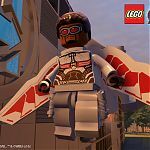 As with previous LEGO games, the graphics and animations are solid, with no pop up or other glitches, although they hardly push the boundaries of what this generation of consoles are capable of. 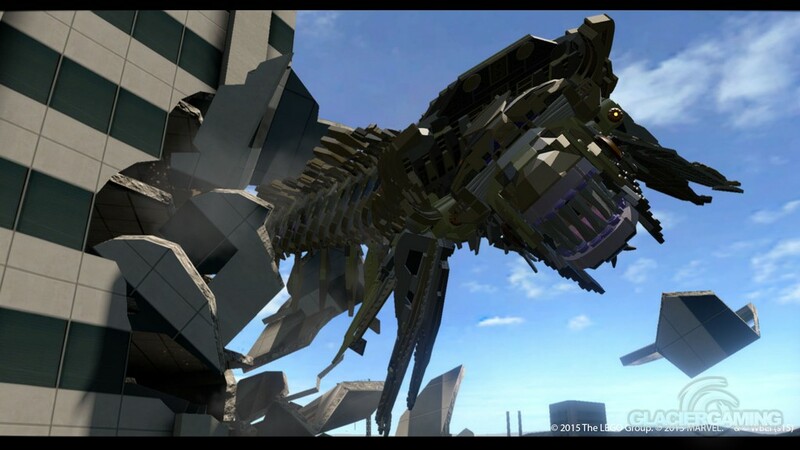 Visual humour has always played a huge part in LEGO games, and this one is no different. One running gag throughout the game is Nick Fury always seems to have a strawberry milkshake to hand. 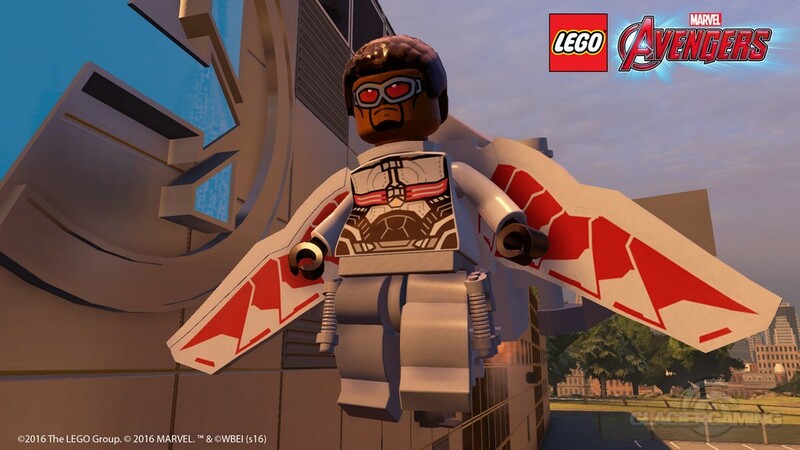 There are also loads of LEGO Easter Eggs, a cool one I found early on was the LEGO Space logo on a banner hanging in the background of S.H.I.E.L.D’s research facility. 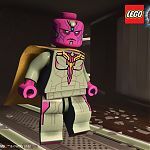 Also, as this is a Marvel title, Stan Lee pops up in cameos over the course of the game, substituting for the “elder” that Loki singles out to the subjugated crowd in Stuttgart in one early scene from the Avengers Assemble plot-line (which was actually a pretty neat way of getting him some screen time and lines). 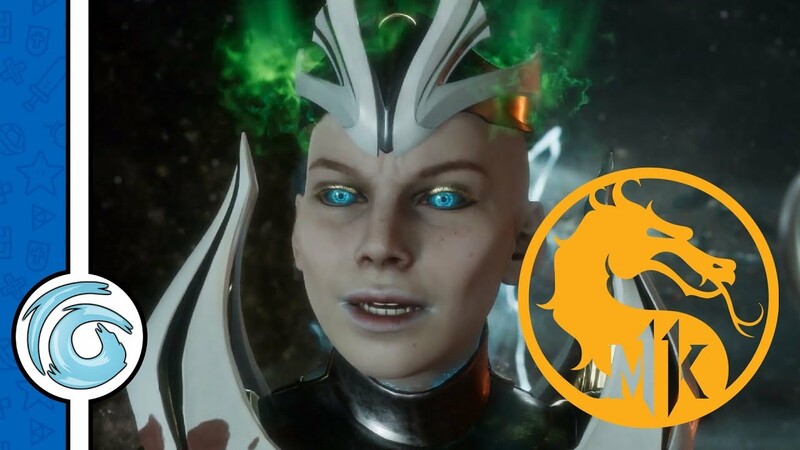 In terms of actual gameplay, again we’re in familiar territory – fighting small groups of enemies, breaking and then building objects, progressing through the story and boss battles at the end of each chapter. 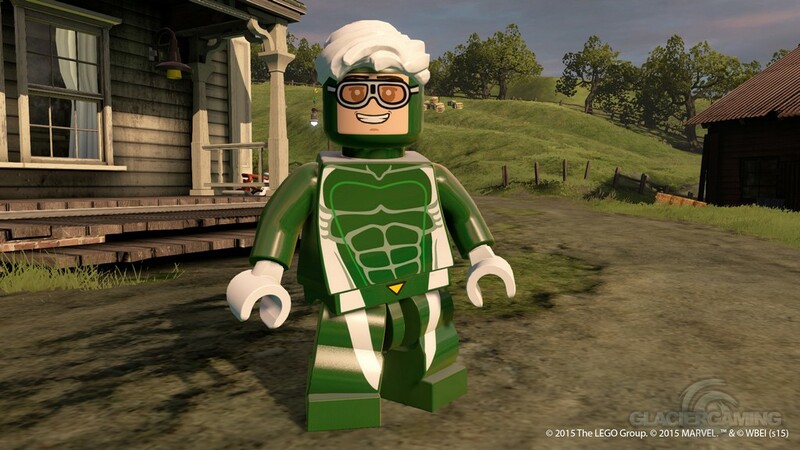 Away from the main objective, you’ll collect LEGO studs, find hidden areas containing white capsules with flashing lights (if you’ve played a LEGO game before, you’ll know the ones I mean), save Stan Lee from perilous situations. 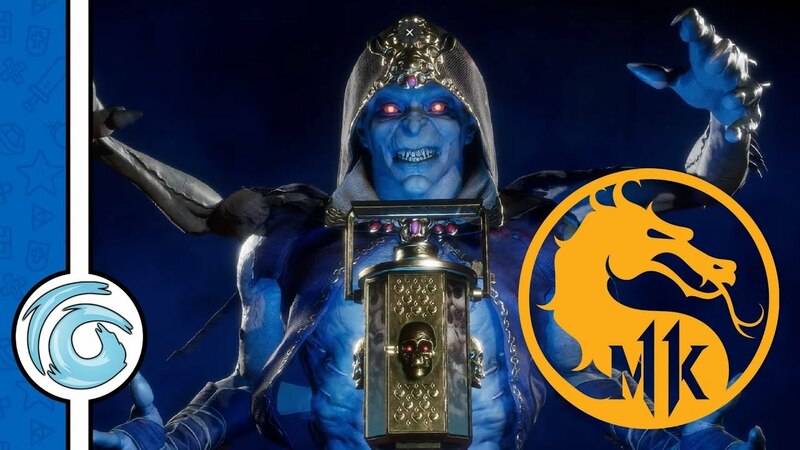 Getting 100% on all levels is pretty much impossible until you can unlock the characters with the necessary abilities to reach certain areas. 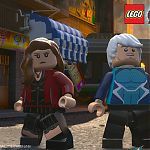 TT Games have also made a few improvements, with new character powers and abilities. 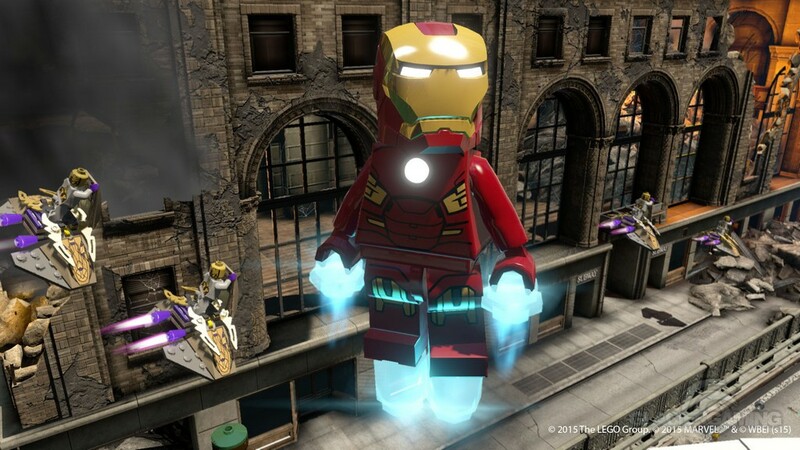 Characters can team up for super-powered moves to help you progress through the story – these points are marked by huge translucent Avenger logos, so are pretty hard to miss. 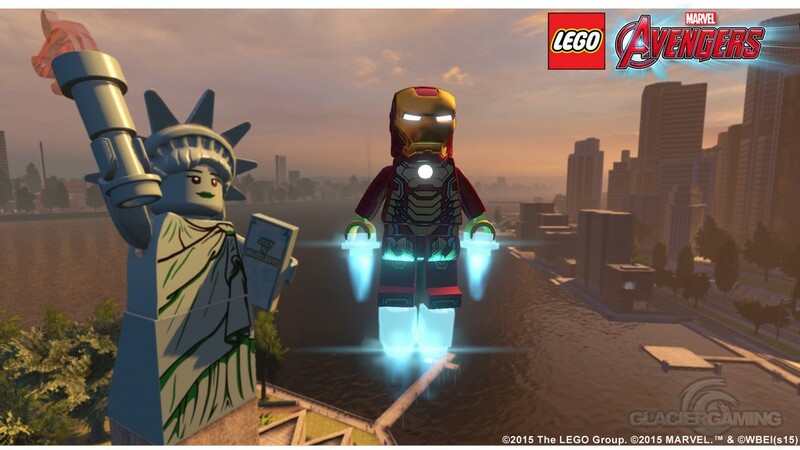 These abilities also extend to the free-roam environment (New York City in this case). 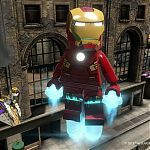 Super jump off skyscrapers as The Hulk or speed run over water as Quicksilver. At the start of each chapter, S.H.I.E.L.D agent Maria Hill gives a brief over view of a particular hero’s background. Unfortunately these scenes are unskippable, so you have to endure information you may already know (especially if you’re replaying the same chapter having not saved your previous game). I pressed and held every button, all to no avail. 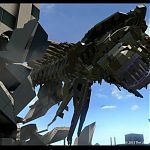 I suppose I have only myself to blame for not having the wherewithal to save my game before shutting the game off; after all there’s always at least one opportunity in each area to save your progress, rather than letting auto-save do the job for you. 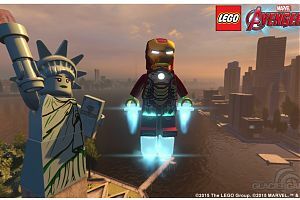 As with the more recent entries into the LEGO game franchise, audio is drawn directly from the movies during cut scenes and gameplay, when Iron Man speaks for example, you hear Robert Downey Jr’s Tony Stark rather than a voice actor reciting the lines. 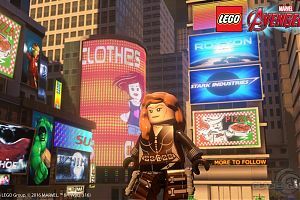 Personally, I’m not a fan of this lifted dialogue, I always thought part of the early LEGO games’ charm were the lack thereof, with grunts and chuckles helping the storyline along. It also leads me to wonder how the games will fair in international markets where English isn’t the first language (international dubs I suppose). A few minor flaws I did find were that the audio tended to fade out to a whisper during cut scenes, forcing me to pump up the volume on my TV, only to be deafened by background music when the scene ended. Also each character has a soundbite when executing their special attack, which can be a little grating if you’re using the attack often, as you’ll hear the same couple of lines of dialogue over and over again. 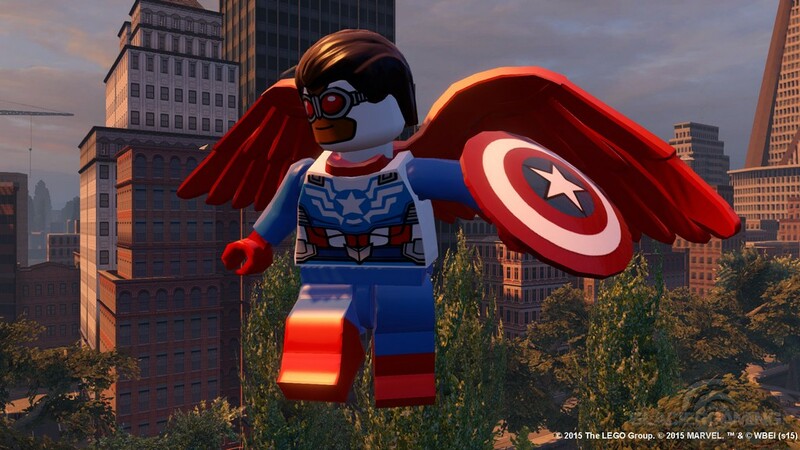 I can’t honestly say that I enjoyed LEGO: Marvel Avengers, but I really can’t place my finger one why. Maybe because I feel the addition of movie dialogue has taken away the series’ charm. But then again, I enjoyed Marvel Superheroes, and that had a completely original story and dialogue. The cut and pasted story was a little jarring. 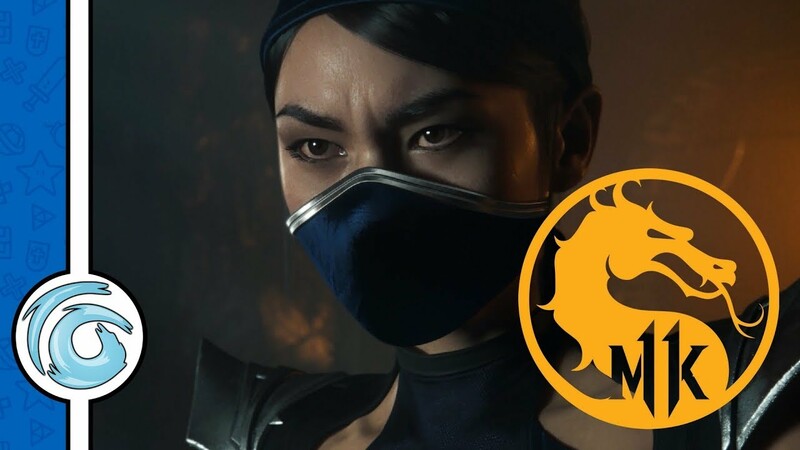 I can only guess that by chopping the plots up and splicing them together, TT Games give the player the opportunity to control a certain hero for a chapter or two rather than a chunk of the game. I guess the only valid reason I can come up with is that I’m not a huge Marvel fan (I’m more of a DC guy), so didn’t have a connection with the story / characters. 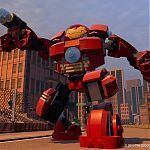 I don’t want to say that I feel LEGO games have run their course, as the games seem to do well enough to warrant further instalments, and as the old saying goes – if it ain’t broke, don’t fix it. Demand is obviously there, as only this week TT games revealed Star Wars: The Force Awakens with get the LEGO treatment. Having enjoyed the original Star Wars trilogy and having watched the latest movie the day of release, I’m definitely excited to play the new game. 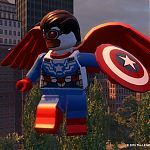 This review is based on playing the PlayStation 4 version of LEGO Marvel Avengers that was kindly provided for review purposes by Warner Bros. Interactive Entertainment.